For the headache symptoms we call tension headaches, relief from pain can be achieved by dilating the muscles through warming the body. Today I’ll introduce you to a bath salt blending copaiba, marjoram, and lavender essential oils to help eliminate these headaches. You can read about essential oils recommended for chronic headaches here. Headaches and shoulder stiffness eliminated by taking aroma baths with Copaiba and Lavender herbal bath salts. 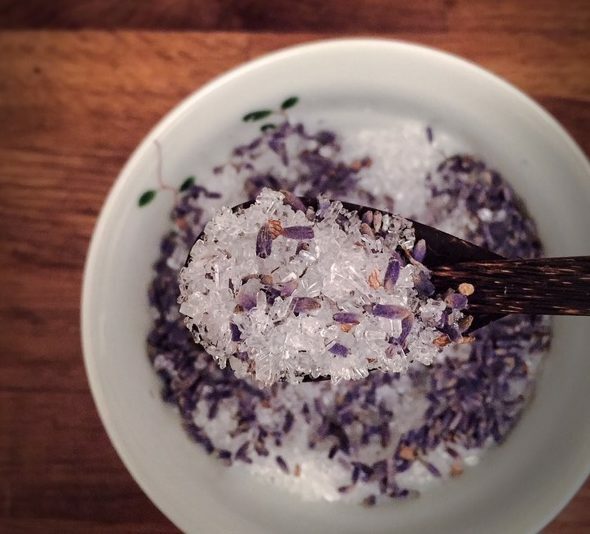 The herb bath salts are easy to use! Put them in a net bag beforehand so that the herbs do not get caught in the pipes when the bath is drained. 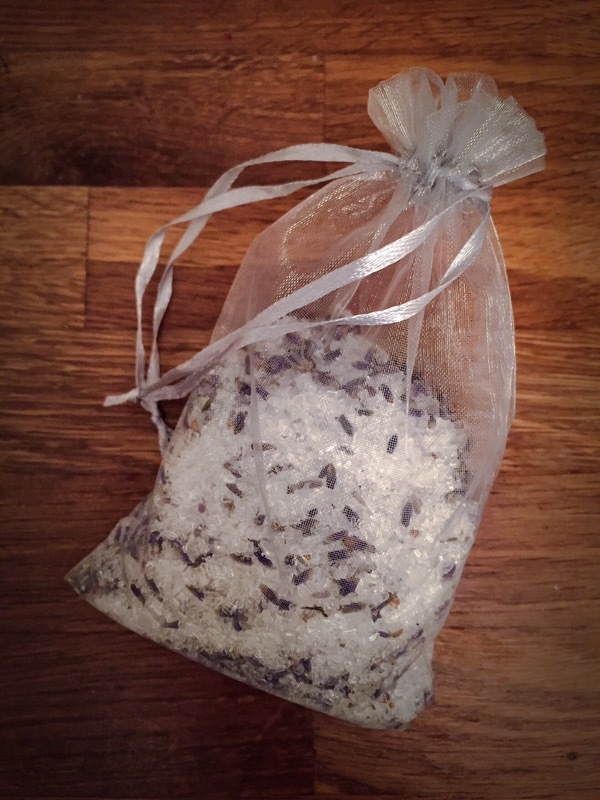 Epsom salts are effective in replenishing magnesium in the body, and relieving muscle tension. For headaches, you should first warm your whole body from the neck and shoulders. 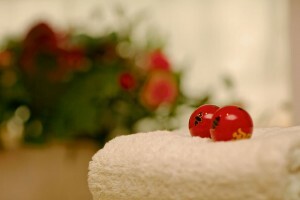 It’s good to take a shallow bath and slowly “swallow” the pain-relieving substance by sweating. After bathing, you can suppress any reoccurrence of the headache by refreshing yourself through drinking water and resting your body and mind.